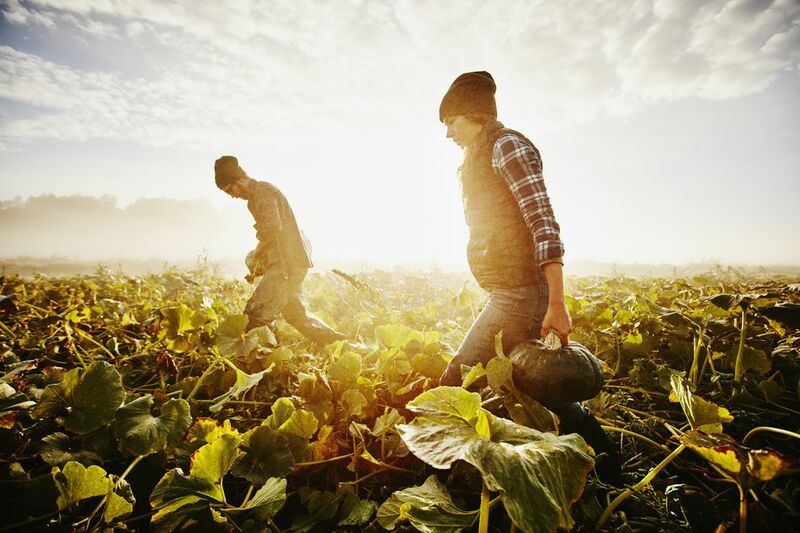 U.S. Bureau of Labor Statistics (BLS) data shows that farming is not just a rewarding career, but a smart and potentially financially successful career choice as well, especially if your goal is a niche area such as organic farming. It can seem a little overwhelming when you first decide to be an organic farmer, especially since the path to organic farming is different for everyone. Still, below are some general ideas about how to get to the organic farming career finish line. One of the most important aspects of becoming an organic farmer is to make sure you have the drive needed to accomplish your goals. No matter what path you choose, if you're not personally dedicated to this career choice, there's little chance you'll succeed. Farming, in general, is a tough career path. Organic farming, with certifications to gain and many rules and standards to follow, can be extra difficult. Once you're sure that you want to become an organic farmer, check out the options below to get started on this career path. In the past, most farmers learned the trade after growing up on family farms. It isn't the case anymore. In 2010, there were 1,202,500 farming jobs out there, and most of those farmers did not grow up on the farm. So how do many farmers learn the trade? Through education. The minimal education most organic farmers, ranchers, and other organic agricultural managers have is a high-school diploma. Most successful farmers nowadays have much more education under their belt. If you just want to farm, hands-on experience may be all you need, but if you want to farm organically and successfully, getting an agriculture degree from a university is wise. Almost all general state university systems have some land-grant college or school of agriculture in place, so your choices are vast and no longer limited by where you live. At the very basic level, most agricultural students, depending on what they'd like to grow or raise, study issues such as growing crops, land conditions, plant diseases and livestock care including the basics of veterinary science. There are many other topics you can study in college to prepare for a career in organic farming. For example, you can complete a course of study in business agriculture, farm management, dairy science, plant science, agricultural economics and much, much more. As a prospective organic farmer, rancher, and agricultural manager, it's likely that you'll eventually spend some hands-on time working under an experienced mentor, even if you also go to college for agriculture or livestock. Book learning, while very useful, especially for the more complex areas of farming, cannot replace hands-on time on a farm. Most colleges with agricultural programs have hands-on experience in place via a university farm or land and/or offer internships as part of their program or can help you find a non-campus associated internship or farming workshop. There are also volunteer opportunities on organic and conventional farms, farm caretaking positions available, plus government projects, such as Beginner Farmer and Rancher Competitive Grants Program, that can help increase learning through internships or apprentice programs. It's important to note that hands-on learning experiences are few and far between. There are rarely enough positions to go around. That said, although you're interested in organics, it may be wise to take a conventional farm internship if that's all that's available. You'll still gain valuable skills and be in the farming loop when an organic opportunity comes along. Clearly, as an organic farmer, you'll eventually need to become certified organic. However, that's down the road a bit if you're just starting out. In the meantime, there are other certification programs in place that can help round out your education as you learn to farm and help you show that you're a competent farmer. For example, the American Society of Farm Managers and Rural Appraisers offers many types of education options for appraisal, farm management and consulting, and continuing education seminars, but some require years of work experience and a bachelor’s degree. MOSES offers various conference workshops, and you can usually locate on-going conferences and workshops related to farming in your neck of the woods as well. Is Organic Farming a Good Career Choice? Eating Bugs: Are Edible Insects a Sustainable Food Alternative? How Much Does It Cost to Get Organic Certification?